The museum was officially inaugurated in AH 1341 / AD 1922. In AH 1348 / AD 1929, it was transferred to its present site in the southwestern corner of the Haram al-Sharif. 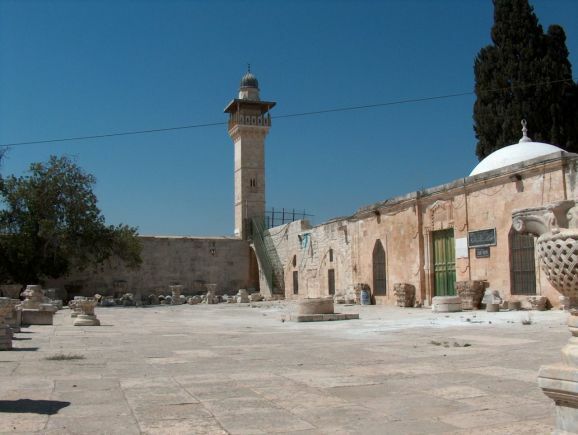 The museum is administered through the Department of Islamic Awqaf in Jerusalem,under the auspices of the Ministry of Jordanian Awqaf, Islamic Affairs and Holy Places. 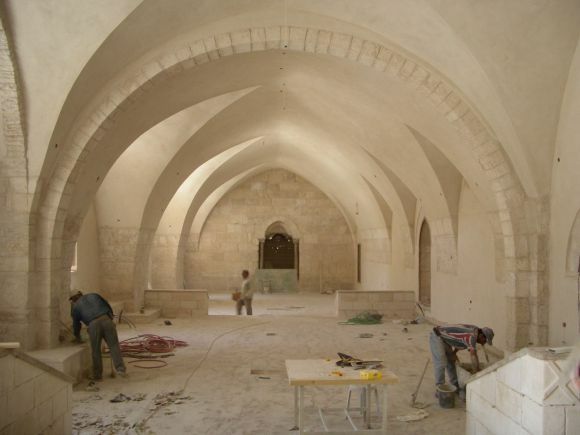 The museum comprises three buildings with an exhibition space of over 1,000 square m. The oldest hall is from the AH 6th / AD 12th century and is a rare Crusader monument in the holy city. The second hall was an Ayyubid mosque (AH 7th / AD 13th century) historically known as al-Malikiya mosque or the Jami’a al-Mughariba. The third hall is known as the al-Fakhriya corner and its history goes back to the Mamluk period (AH 8th / AD 14th century). The collection consists of artefacts and remains from the Islamic and non-Islamic epochs, representing various facets of Islamic civilisation ranging in geography, theme and period. Most of the artefacts represent the heritage of al-Haram al-Sharif, Jerusalem and Palestine at large including cities such as Hebron and Nablus. 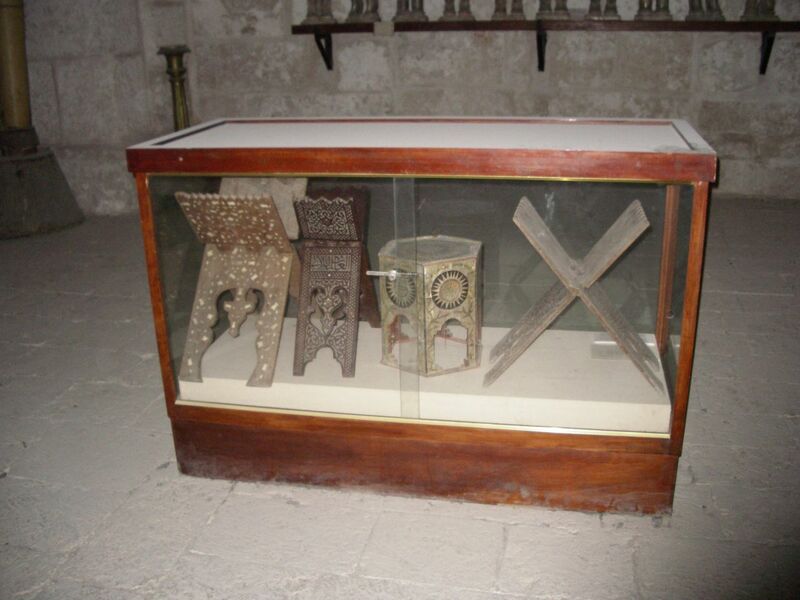 The museum contains woodwork from different Islamic eras, the oldest dating to the Umayyad period. Metalwork in iron, copper and silver includes the iron enclosure from the Dome of the Rock, candlesticks, swords, daggers, daises, incense burners, coins, rings and memorial pieces. The collection includes marble and glazed tiles that panelled the the Dome of the Rock in the period of Sultan Sülayman the Magnificent (r. AH 926–74 / AD 1520–66) and his successors. There is a collection of earthenware, inscriptions on stone from different Islamic periods and its precursors, and columns and capitals from the Roman and Byzantine periods. There is a valuable collection of Qur’ans, the oldest from the AH 9th / AD 15 th century, and many Mamluk manuscripts whose themes deal with social and economic life in the holy city. The museum displays part of its textile collection, with costumes, grave coverings, pieces from the kiswa (covering) of the Ka’ba and pieces of carpet.